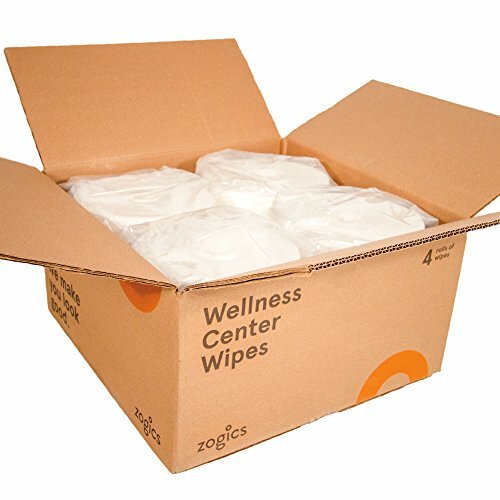 Zogics Wellness Center Wipes strike the perfect balance between strength, quality, and cost-effectiveness. As low as 2.3 cents per wipe, one case of these gym wipe includes four 1,150 count rolls pre-saturated with a pre-saturated with Quaternary disinfectant, and are alcohol-free, phenol-free, and bleach-free, making them an effective way to clean, sanitize, and deodorize germs and bacteria. These cleaning wipes have a fresh, clean scent. Rolls are 9″ high x 8.5″ in diameter. Individual wipes measure 9″ x 6″ in size. These wipes can be dispensed with either an upward pull dispenser or downward pull dispenser.